­If there’s one thing any girlie girl loves, it’s an afternoon tea. There’s something about silver teapots, crisp table linen and teeny tiny cakes that would give Alice in Wonderland a run for her money. But when it comes to the etiquette, how well do you know your stuff? 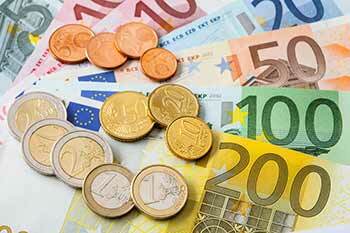 If I had a Euro for every time I heard “High Tea”, well, I’d be pretty well off by now. Truth is, a “High Tea” is a completely different thing altogether, back in Victorian times, tea was incredibly expensive, only the elite could afford to drink it as often as they wanted, the lower classes could only afford to drink tea once a day if they were lucky. 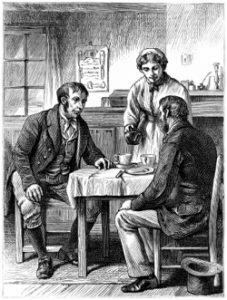 Tea cost the Victorians about £1 Sterling per lb, considering the average wage of a lower class citizen was £8-25 per week. So, these people would drink their tea with their dinner, at the kitchen table or “high table”. Could you imagine paying about £35 for a box of teabags? Milk was also rather expensive among the poor, hence the milk was poured first, to make sure everyone got some before the tea was poured. Today it shows “poor roots” if milk is poured beforehand. 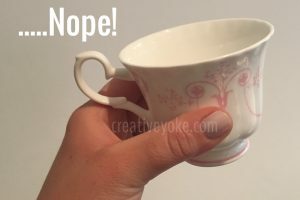 There’s also the theory that Victorian teacups were more brittle and by adding the milk first, there was less chance of the fragile clay cups shattering. Afternoon Tea was something a little more elegant and was started by the Duchess of Bedford, Anna Russell in the 1840’s whilst visiting her friend, the Duke of Rutland who lived at Belvoir castle (which you might recognise from the exterior shots of the castle used in the 1999 movie ‘The Haunting’ with Liam Neeson and Catherine Zeta-Jones). 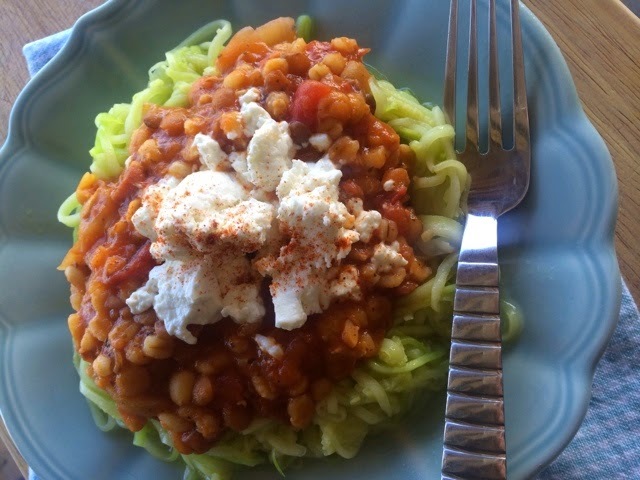 In Russell’s time, dinner was served in the evening, usually around 8pm and lunch was very early, she came up with a light refreshment of finger sandwiches and cakes, served with Darjeeling tea. 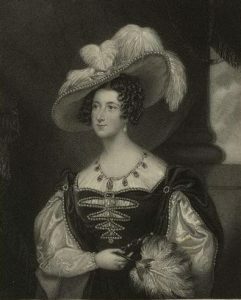 The Duchess became so popular for her “Afternoon Tea” that it became an established meal among upper class society. Adding Champagne to the sitting creates a “Royal Tea”. “Cream Tea” consists of just tea with scones, clotted cream & jam. 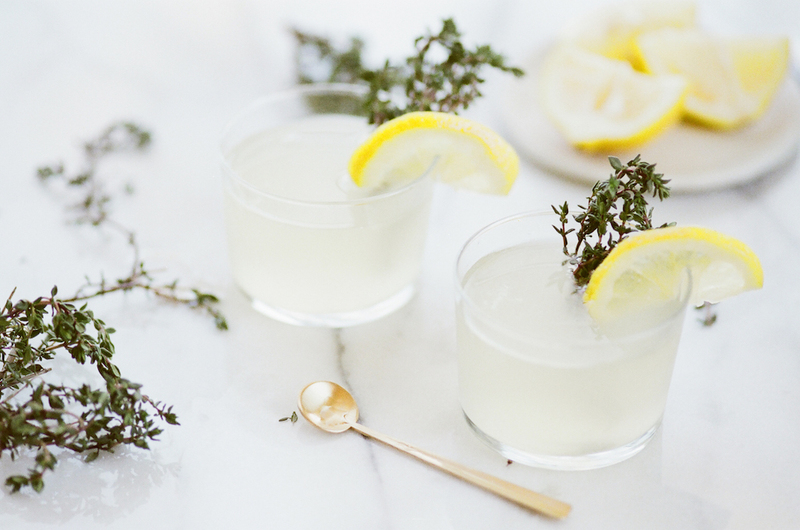 Fast-forward to modern times, Afternoon Tea is still adored today and ladies love dressing up and going for afternoon tea in a luxury hotel or tearoom just as their Victorian counterparts did. The competition is fierce and the styles vary, each establishment trying to be a little more creative, but you still cant beat china cups, silver teapots and jugs, and a tiered cake stand. If I see an afternoon tea without a cake-stand, my heart sinks. When attending Afternoon Tea there is an unspoken dress code, you most certainly should not turn up in a tracksuit after your morning run or jeans and a t-shirt, Gentlemen should wear a shirt and tie and ladies should dress up. Napkins should be draped across the knees, ankles crossed under the chair and hands resting on your knees. In more expensive hotels tea is poured for you, however, the question is to whether milk goes before or after tea. Milk goes in after the tea and you do not noisily thrash the spoon about the cup, but gently push the spoon back and forth towards you, without touching the sides and then gently resting the spoon on the saucer, never leaving it in the teacup. 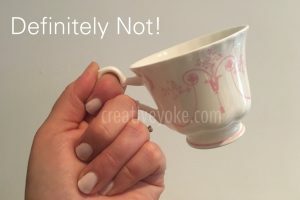 No pinkies are ever needed during an afternoon tea as it was seen by Victorians as a rather “common” thing to do, the Victorian’s would never have done that. 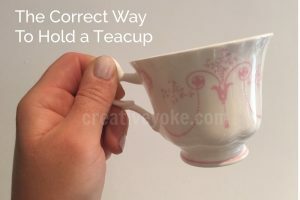 You simply hold the teacup with your thumb, both meeting in the middle of the inner handle and then resting the handle on your middle finger. You should also never put your whole finger through the handle as it’s also considered bad manners. 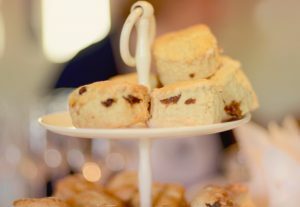 There is no right or wrong way to dress your scone (rightfully pronounced “SKON”- like “John” not SKONE” like “Joan”), it’s alldown to personal preference, simply prize the scone open with your thumbs (not the knife) and dress it how you like. Jam then cream or cream then jam. 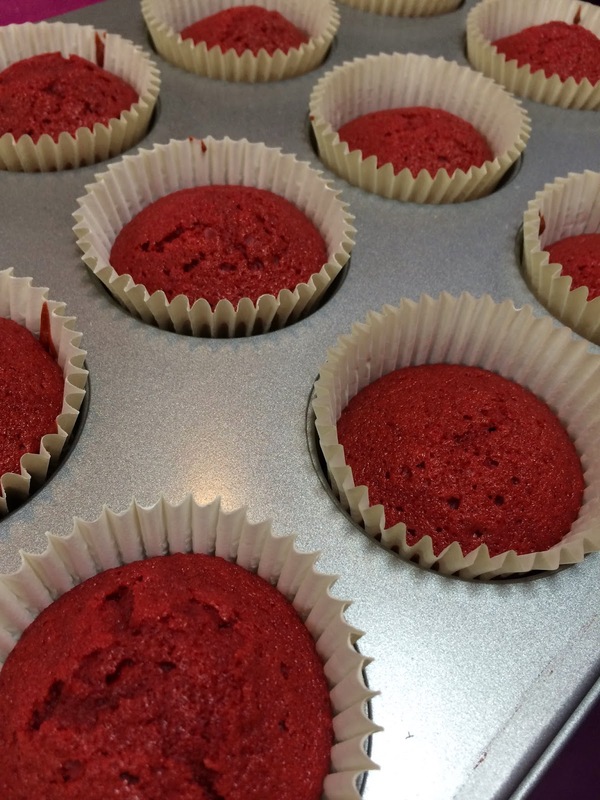 They are then to be eaten one half at a time. Table etiquette is crucial, never just reach and grab what you like, always look around the table and ask your company if they would “like some butter” before helping yourself, ideally it should be passed to you, you’re not the only one sitting at the table, this also applies to the last of anything, be it the last bread roll at dinner or the last sandwich at Afternoon Tea. chef’s and the caliber of skill they have there, beautiful chocolate sculptures can be seen on display at certain times of the year. To celebrate the hotel having it’s very first Tea Butler, enjoy their ‘Tea Butler Afternoon Tea’ in the Lord Mayor’s Lounge, priced at €45, showcasing a range of desserts inspired by their house range of Irish Ronnefeldt teas, from Irish Breakfast to Irish Whiskey Cream, Strawberries and Cream to Wild Cherry, delicious! Their newest afternoon tea is the “Wonderland Afternoon Tea” which has me rather excited, I have yet to try it but it looks incredible, “Drink Me” Kir Royale in Bottles, a “Pocket Watch” Macaron and even a lemon berry meringue mushroom! I have a little obsession with Alice in Wonderland and I may just have to get my girliest dress on, get the Manolo’s out and make my way to The Shelbourne Hotel for this. 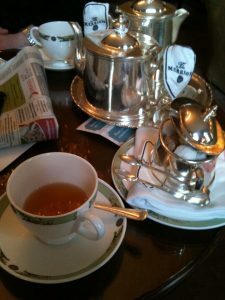 There is even tea for children, I know that if Ryan and I have a little girl, I will raise her on Afternoon Tea’s, it’ll become a regular thing for just the two of us… napkins on the laps, enjoying pastries and sipping Earl Grey by the fireside- sounds just heavenly! 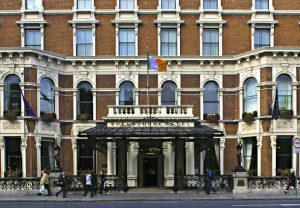 For more information on The Shelbourne Afternoon Tea’s, menu’s and prices, visit their website. The Merrion Hotel is another favourite spot of mine, I have stayed there and it’s like a little palace, we stayed for our first wedding anniversary a few years ago and it was magnificent. 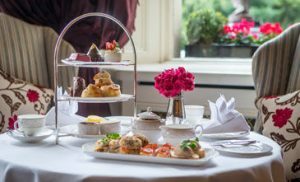 The Merrion have become a little famous for their “Art Tea“, a delicious range of desserts inspired by the work of J.B Yeats, William Scott, Louis Le Brocquy and others. If you’re an art lover, the National Gallery is just around the corner too! 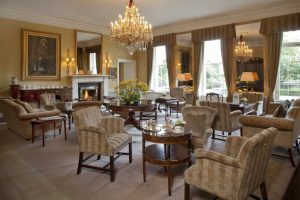 Cozy up by the fire in the Drawing Room, overlooking their gardens in absolute peace and browse a complimentary copy of the Merrion Art Catalogue. Art Tea is priced at €45. For more information, visit The Merrion Hotel Website. My mini scones at one of my tea’s. If you’d rather be a Duchess of Bedford yourself, why not host your own afternoon tea at home? In the past, I organised a couple of Gala Ball fundraisers in aid of two of my favourite animal rescue charities ‘M.A.D.R.A’ and ‘Galway SPCA’, I organised them completely on my own, without a sponsor or help. So, in order to raise some seed money, I hosted coffee mornings and Afternoon Tea’s and put out a jar for donations -in return for the afternoon tea. Ever since, I have become a little obsessed with inviting friends around for “Sarah’s Afternoon Tea” and it’s definitely more of a “Royal Tea” Champagne is always the first thing I buy, and then Whittard for the tea. 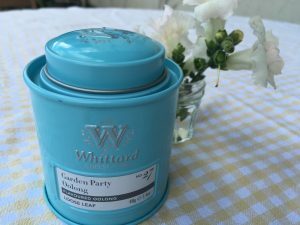 Whittard have the most beautiful selection of tea with delicate flavourings, I normally serve Earl Grey but lately, their new Summer collection had me going. 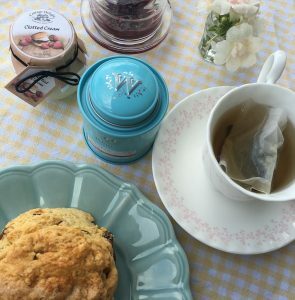 I bought ‘Garden Party’ Oolong in Avoca out in Powerscourt House and enjoyed it out in the garden for a cream tea, I would definitely recommend this or their Macaron flavour, if you’re having a tea of your own. 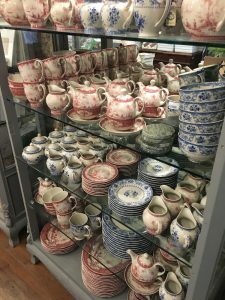 Moving on to China, local antique shops and markets are great places to find beautiful cups and saucers but I am loving Avoca’s sets at the moment, also out in Powerscourt House was this beautiful display, the cups were about €12 but it’s Avoca and is what it is. You don’t even have to go with matching cups, the eclectic look is very popular at the moment, shop around and check Freecycle, you’d be amazed at what you’d find, and you might even get it for free! Table Linen is really important, to complete a look, you don’t have to go all white either, Cath Kidston sells beautiful floral fabric by the roll, any fabric store will have a gorgeous variety and stick with a couple of colours as a base palette, having that said, you cannot beat white jacquard linen with silver accessories. You can find these at most department stores. However you decorate your table, fresh flowers are also a bonus. 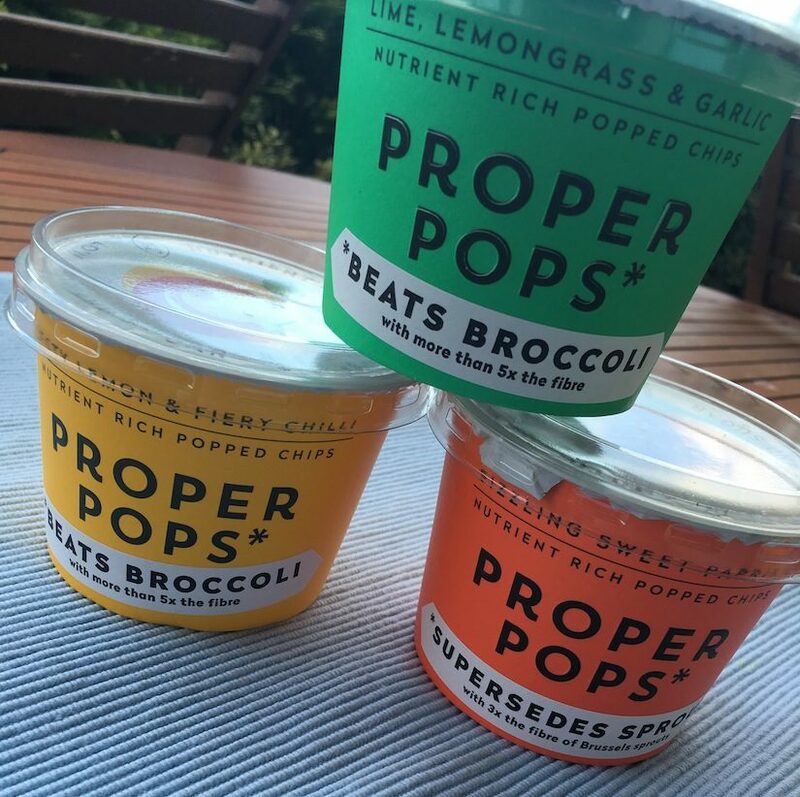 Let your imagination run wild with the food, cute finger sandwiches with the crusts cut off, cucumber and cream cheese sandwiches, beef wraps, egg salad, just cut the crusts off and slice them into fingers. Scones are a doddle but buttermilk ones are authentic and have the best consistency, make them yourself for best results or try my recipe. I do hope you enjoyed this post, looking forward to hearing what you think and hearing where you love to do Afternoon tea.